The recent New Jersey Water Quality Accountability Act, effective October 19, 2017, has created new requirements for water purveyors in the hopes of improving safety, reliability, and administrative oversight of water infrastructure. This new act requires purveyors to develop and practice an asset management plan focused on inspecting, maintaining, repairing, and renewing its infrastructure to comply with the standards set by the American Water Works Association. Juniper Systems has teamed up with Eastcom Associates to provide a quality asset mapping solution to ease the workload for water purveyors working to meet a variety of applications. We recognize these new requirements push water purveyors to review their current asset mapping system and determine its efficiency in accordance with the new Act. The Geode Sub-meter GPS Receiver, popular in the utility mapping industry, acts as an ideal solution for mapping assets internally. Rather than hiring an outside consultant to prepare and submit the necessary data to the State of New Jersey, purveyors can precisely mark assets in-house using the Geode GPS Receiver, allowing even smaller water systems with limited resources to perform these tasks at a minimal cost. Because the Geode GPS Receiver is the most cost-effective precision receiver on the market today, water purveyors can save time and money by conducting everything needed in-house. 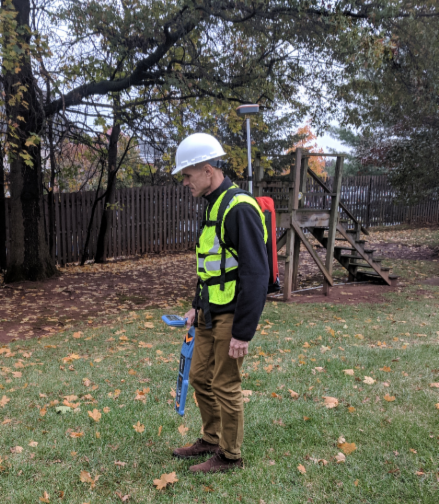 The Geode Sub-meter GPS Receiver provides high accuracy ideal for locating a buried water valve, fire hydrant, or other network assets requiring geolocating. In addition, the Geode Sub-meter GPS Receiver’s user-friendly interface, all-day battery, and all-in-one design allows water purveyors to quickly map assets throughout a long workday, while remaining completely shockproof, dustproof, and waterproof. The Geode can also be combined with the Mesa 2 Rugged Tablet and Effigis™ EZ Tag Software to create a powerhouse mapping solution that allows purveyors and engineering firms to efficiently collect data with modest expenditure for a system that will readily integrate with GIS systems. Juniper Systems’ partner, Eastcom Associates, has held a continued presence in the northeast since 1972 as a supplier of underground utility locating equipment. Supplying this complete solution, Eastcom Associates provides equipment training and support to customers and collaborates in damage prevention programs with different organizations throughout its geographical footprint. For more information, feel free to contact us here or drop a comment below.